The whole process of preparing to leave for Haiti was fairly stress free. There were some rough goodbyes and moments of fleeting panic, but overall I was ready. Sure. Confident. Then I got on the plane. The first nine hours in Haiti were the most difficult. I was exhausted from an early flight, disappointed my bags didn’t make it, but also super excited that I was finally here. It made for a pretty strange mix of emotions. Fortunately, a good nights sleep worked wonders and this week has been a whirlwind of diving right in. – Stacking 5 cots on top of the Jeep to drive them home, realizing that one of the mattresses fell and was blowing away behind us. Doing a quick U-turn and chasing down a man that was walking away with it. In the end, we got the beds we needed and it all worked out! Success! – Grocery shopping for a team of 25. With two Haitian men. In stores I’m not familiar with. Let’s just say each trip to the store was an adventure in itself. I also got my first tap tap ride! 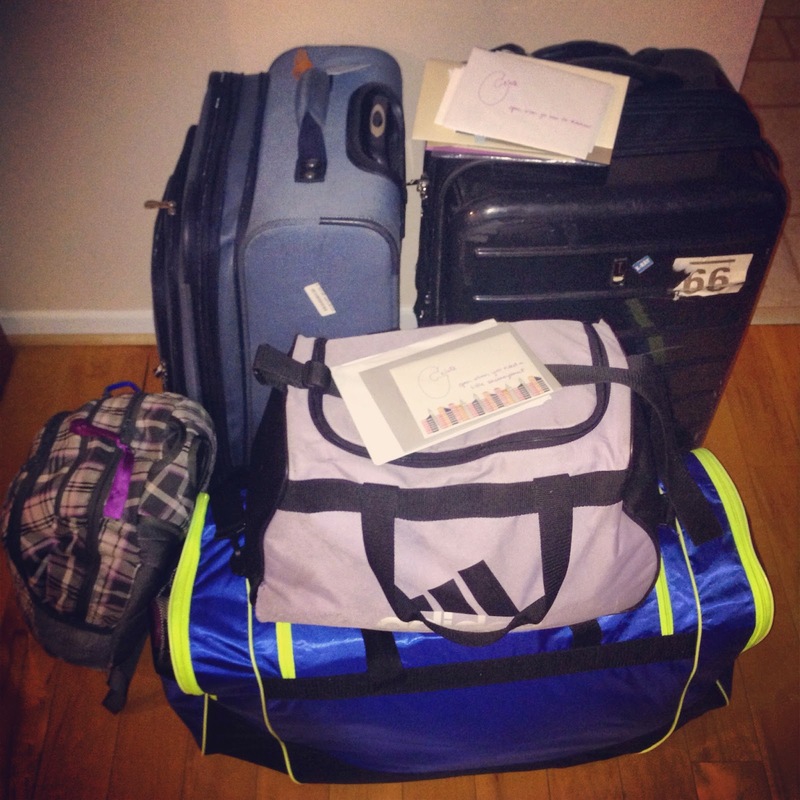 – My luggage all arrived safely the day after I arrived. It was not at all the nightmare it could have been, so prais e God for that! – Week one has come and gone and I haven’t been scared off yet! We’ve had a wonderful team of 25 here. Getting to hear their stories and see their excitement each night is contagious. Seeing some of the amazing dancing they’ve been doing with kids has been really fun. I’ll try to post to videos! – Every single sunrise (yes, I have been up to see my fair share of these this week) and sunset is incredible. Haiti is beautiful. I love it and I can’t wait to tackle another week! – We have adoptive families that have been waiting at different stages in their paperwork processes because of some new changes Haiti implemented. We are continuing to pray that paperwork would start moving again so we can get some families down here to meet their kiddo’s! – For the team here to have productive and meaningful time with the kids over the next two days before they leave. We also have two members of this team that has baggage that never made it from JFK. Prayers that we could get that sorted out before they fly back home on Wednesday. – To continue meeting new people and making new connections. I’ve met a few people so far and I’m hoping to get lunch with a Carnegie Mellon connection in a couple weeks when she visits Haiti. They started a non-profit here that I’m hoping to learn more about.